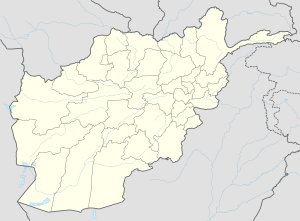 Qalai Naeem is a village in eastern Afghanistan. It is the district center of Char Asiab District, Kabul Province. It is located at 34°23′55″N 69°10′03″E﻿ / ﻿34.3986°N 69.1675°E﻿ / 34.3986; 69.1675 at 1,843 m altitude. This page was last edited on 20 May 2017, at 12:29 (UTC).